To register and pay for any LJV Programs (Player Fees), please use the link on our REGISTRATION page, thank you! DONATION – any amount is appreciated! The most efficient way to help support our athletes is to make a direct donation! Your generosity helps players afford their fees, helps cover travel expenses, uniforms, equipment, and more… thank you! Monday Clinics (April-May 2019) 5:00-6:30pm – $15/player, must pre-pay online to reserve your spot! LJV Spandex Shorts – Under Armour, embroidered with LJV logo – $25 each for replacement or additional. Highest-quality Russell brand black sweatshirts: hoody, crew-neck, or full-zip! No shipping or home delivery available. 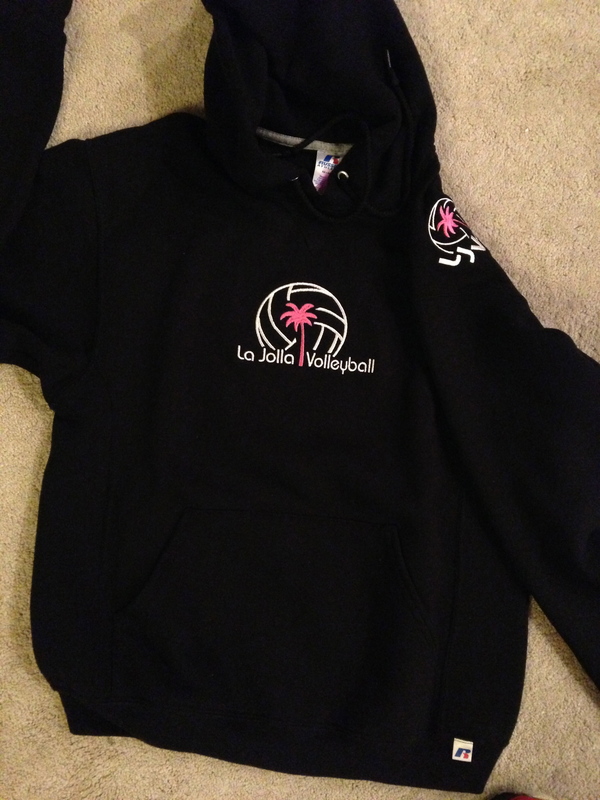 Must pick up your sweatshirt from Barb’s front bench or at your daughter/son’s practice. TREE color in logo: Boys & Dads (and girls/moms!) 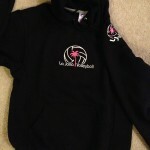 can order the palm tree in GREEN stitching instead of pink! Just select “green” under tree color if you prefer the tree to be in green instead of pink. Link to AAU Sports to obtain your $16 AAU Membership, required of all players for Fiesta Classic and AAU Championships in June. Send an email to Barb Birnbaum with any payment issues/questions.